Lively – not a rival; still a challenge. You are here: Home / Virtual Worlds / Alternatives / Lively – not a rival; still a challenge. Will Lively supplant Second Life? Is it a rival, a match for, or a strong competitor to Second Life? 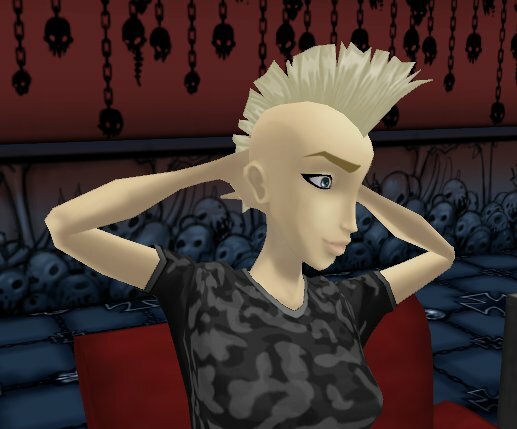 Will we all someday have left Second Life and made the transition to Lively instead? Lively is a pretty-looking mashup – it has taken multiple ideas and technologies from various places and smushed them together into something reasonably useable and useful. Sure, the camera controls are hard to handle, even if you come direct from Second Life, or from Blender, the open source animation package. Similarly, the avatars are difficult to move. Moving also requires that you have some control over the camera. Putting these considerations aside, I found the thing that worked extremely well – the TV, one of the furniture options in Lively, allowed me to seamlessly and effortlessly display YouTube material. Second Life of course has various provisions for allowing video, but none are as sleek or as easy as Lively makes it. I feel that Lively is a useful innovation for two reasons. First, it brings people together in such a way that they can share web-browsing experiences (until now an activity made cumbersome by the restrictions of sharing links via instant messages or email), without getting weighed down by the choices that the ability to create content brings. Second, it challenges existing and prototypical virtual worlds to keep pace and offer similar experiences to their residents. It is a challenge not in the sense that the whole concept of one world is challenging to the very existance of another, but in the sense that it sparks new ideas and desires in the minds of all virtual world users. I think all extant virtual worlds could learn from the slick way that Lively presents YouTube material. The background information for Lively suggests that there is a lot more to come, particularly in regard to mashups with existing technologies. There is excellent potential for those mashups to be done extremely well. To my mind though, there isn’t even a question of whether Lively will rival Second Life, no matter how far it changes or evolves. I don’t believe it was designed to and I strongly feel that during their lifetimes, Lively and Second Life can co-exist happily, feeding ideas into each other. I have to say that after reading about the successful teleport of a Linden pilot team from Second Life to OpenSim yesterday, and the focus on integration between the worlds, I can’t bring myself to believe that any virtual world will actually “take over” another virtual world. At this point I see them all as countries on the globe hammering out the specifics of their border treaties. I also see them as potentially serving different metaverse needs – WoW for playing, Lively for work / business, SL for art and commerce, etc.. and therefore not so much competing with each other. I guess we will see what happens in time.